Until the Ukrainian crisis Turkey preferred to maintain a balanced approached to the Black Sea region without speeding up the process of accepting Georgia and Ukraine as NATO members up. 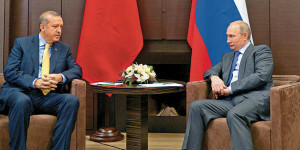 The Montreux Convention was of strategic importance for both Russia and Turkey since it suggested that in the nearest future the status quo between the two will remain unchanged. When Crimea joined the Russian Federation some analysts assumed that it can change the balance of forces in the region in favor of Russia, making a closed “Turkish- Russian pond” even more closed, leaving little place for Turkey to play the Black Sea – Caucasus card in NATO talks. On the other hand, one cannot disregard Turkey’s own interests in the Ukrainian crisis. In the 90s and especially in the 2000s the political and economic ties between Ankara and Kiev evolved incrementally, reaching in this decade to a level of strategic partnership. Crimea occupied a special place in Turkish-Ukrainian relations, by being the first best bet for Turkish investors and by providing Turkey with a foothold in the region through the Crimean Tatars. Over the last two decades Ankara has provided them with substantial financial support, by promoting cultural and educational projects. Important role here was played by the Turkish International Cooperation Agency (TICA) . The importance of the Crimean Tatar factor can hardly be overestimated. The reputation of the Crimean Tatars in Turkey is high, since the Turkic identity developed trough the famous Tatar thinkers such as Ismail Gasprinski and Yusuf Akchura, who are respected by not Turks alone, but well across the Turkic world . One can also name a lot of Crimean Tatar among the Turkish authorities. Finally, the very possibility of the creation of a geopolitical conflict zone near Turkey ‘s border is an extremely unpleasant surprise for Ankara, that is forcing Turkish authorities to seek ways to minimize the consequences of the “Crimean incident”. This was the thinking behind the negative attitude of Ankara towards the Crimean referendum and the loud statements made by the Turkish Foreign Minister Ahmet Davutoglu in March in Kiev, when he promised to provide “political, international and economic support for the territorial integrity of Ukraine”. It is doubtful, however, that anything of the above mentioned would have a negative impact on the Russian-Turkish relations, largely due to Turkey’s position that some foreign analysts qualify as “an observer’s”. The official Turkish standing is so indistinguishable due to the fact that Ankara is simply unable to take sides on the Crimean issue. Turkey’s role as a patron of the Crimean Tatar population along with NATO membership ticket implies that Ankara should hop aboard the anti-Russian sanctions ship. However, even before the referendum Erdogan received guarantees from Putin that the rights of the Tatar minority would be observed. Turkey could express solidarity with the United States if it didn’t fear that the United States would use the Straits as a means of pressuring Russia, bringing naval forces on a “rotating basis” and thus creating a permanent grouping of NATO naval forces in the Black Sea region. In this sense, an example of the USS “Truxtun” that arrived in early March 2014 in the Black Sea for a one-day exercise with Bulgarian and Romanian ships and stayed there for an indefinite time can be demonstrative. According to the commander of the USS “Truxtun”, its mission was extended due “to the situation in Crimea”. On April 10 the USS missile destroyer “Donald Cook” entered the Black Sea, on April 11 a French spy ship F.S. “Dupuy de Lome”. From late March to mid-April a French diving support ship FS “Alize” was stationed in the Black Sea and in the nearest future it is expected to be replaced by a French anti-submarine frigate F.S. Thus, we can talk about the fact of attempts to apply political pressure against Russia, however, it is unlikely for Turkey to support its allies in this matter as it provokes an unnecessary confrontation with Russia and reduces the value of Ankara as a regional military leader . There’s a handful of different opinions in Turkey towards the Crimean situation. First of all, Turkish media outlets don’t see the joining of Crimea to Russia as an act of annexation . Turkish newspapers urged their government to properly evaluate the country’s capacities in determining its policy towards Russia , pointing out to the need to address the systemic crisis in the country firsthand. Foreign observers also note that the corruption scandals and failures of Turkey on the Syrian front dictate caution to Turkish diplomacy in relations with Russia. Secondly (and most importantly), Turkish economists are predicting Turkey to suffer serious economic consequences, should Ankara join the pro-sanctions camp. 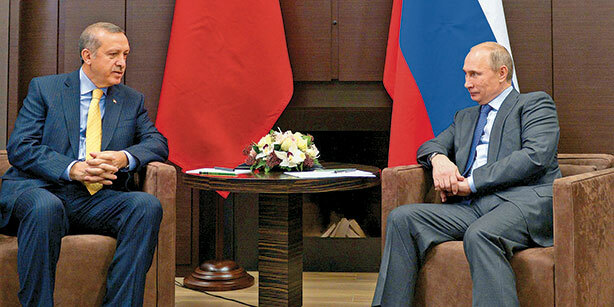 Turkish economy is relying heavily on the supply of Russian hydrocarbons. Moreover Russian-Turkish turnover exceeds $33 billion annually, around 4 million of Russian tourists are visiting Turkey every year, leaving behind at least $4 billion. There’s little wonder that Turkish media outlets underline the fact that the value of Ukraine and Russia for Turkey’s foreign policy is not comparable . There is a reason to believe that Turkish analysis of the situation in Ukraine is pretty close to the Russian one. This conclusion can be drawn from from the words of Mevlüt Çavuşoğlu, that accused Brussels of provoking a civil conflict in Ukraine. Thus, it is possible that Turkey itself tends to blame external forces of interfering in its internal affairs, fearing the execution of the Kiev scenario on its own land. Thus we can conclude that Turkey will not join the anti-Russian sanctions. Under these circumstances, it is likely that Turkey will encourage the parties to engage in a dialogue and will be trying to maintain the integrity of Ukraine. It saves face for Turkey as a NATO member but will not spoil relations with Russia, as the latter itself is not interested in further disintegration of this country. Such balance between Russia and NATO is the most convenient option for Turkey, as its influence on the Crimean Tatars in any case remains unchanged, and its relations with Russia will be maintained at the same level. And since Crimea has now joined Russia, the role of Turkey in NATO as a regulator of the straits may increase, however, in this case Turkey, as it was during the Georgian-South Ossetian conflict in 2008, would have to “filter” the passage of NATO ships trough the Black Sea, in order to preserve the naval balance of forces in the region. While frequent visits of NATO warships in the Black Sea may complicate Russian-Turkish relations, the events of 2008 show, that such complications will not last for long. Andrei Boldyrev , Ph.D, Research Fellow in the Turkish Department of the Institute of Oriental Studies RAS, especially for the online magazine “New Eastern Outlook”.